Blackvue’s latest top of the line dashcam is the DR750S-2CH. It’s a significant upgrade over their previous top of the line, the DR650S-2CH. (If you’re already familiar with the DR650S, check out my DR650S vs. DR750S comparison.) I ran the DR650S as my primary dashcam for about a year and upgraded to the the DR750S a little over 2 months ago. I’m a big fan of how fully featured the DR750S is and it’s one of my favorite dashcams as an all-around package. It’s the dashcam that I now run in my car full-time. 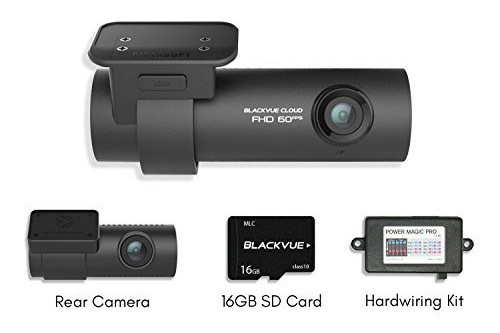 The Blackvue DR750S-2CH dashcam offers good quality video, records both in front of me and behind, records both when I’m driving and when I’m parked, is very impressive at night, has integrated GPS and Wi-Fi capabilities, and basically offers me complete protection which I love. In fact, since installing DR750S, it’s already saved the day recording a hit and run right behind me! Video quality with the camera is good. Admittedly not mind-blowing amazing, but good. When you see vehicles ahead, you are typically able to make out their license plates which is the most important thing. If they’re more than a car length or so away, that’s when things get a little bit tougher, but that’s pretty typical for 1080p dashcams. This is even more true when vehicles are moving. Now there are other cameras that have better all out video quality and thus are able to make out details like license plates a little farther away. You’ll notice it in cameras that have higher resolutions such as the Vicovation Opia2 that records at 1440p. You’ll also see it with cameras that shoot at higher bitrates such as the Vicovation Opia1 (20 Mb/s on the Opia1 vs. 12 Mb/s on the DR750S). Update Feb 2018: Blackvue has released firmware update 1.003 which bumps the bitrate for the front camera up to a whopping 25 Mbps for improved video quality. Awesome! The upcoming Blackvue DR900S that will be released next year records in 4K and will do an even better of recording license plates, particularly at a distance. That camera will cost more than the DR750S though (it will be sold alongside the 750, not replacing it), but the DR750S will be sufficient for recording your daily drives. I anticipate the new model will be the ultimate Blackvue dashcam. My particular DR750S was also noticeably soft on the right side of the frame. I think the lens was misaligned. However, I sent it back to Blackvue for repairs and it came back looking better. Anyway, here’s another quick video sample, this time driving down the highway. You’ll hear my laser jammers go off and see a truck that sped past me at the very beginning of the video wind up getting a speeding ticket. When cars drive past me on the road, you can see how easy it is to read their plate. (YouTube compression makes it a little tougher, but you’ll get the general idea.) You can also see how easy it is to read signs on the side of the road. The DR750S-2CH is a two channel dashcam, meaning it has a front and a rear camera. The rear camera now records at 1080p as well like the front camera. This leads to a noticeable difference in terms of capturing details behind you such as license plates. Check it out for yourself. Having a rear dashcam in general is just a big help. For example, if you pull into a parking spot nose in, the rear camera will capture everything happening behind you which includes most all the important stuff. Your front dashcam won’t help in that situation. The rear camera will record what happens if you get rear ended and you can see if the other driver was staring at their cell phone. It basically captures the other half of your surroundings that the front camera alone would miss. Not too long ago the rear camera of my DR750S-2CH saved the day, capturing a license plate during a hit and run right behind me. 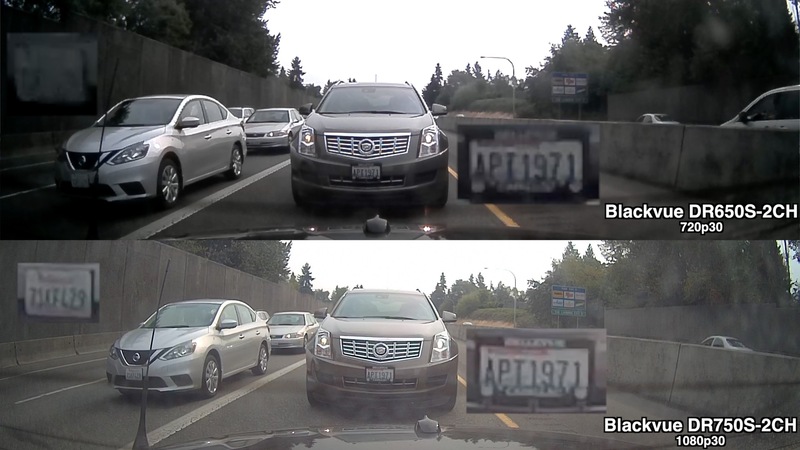 My front camera wasn’t able to get the plate, but the rear camera did and that made a big difference in ID’ing the driver. Parking mode functionality in a dashcam is huge. It captures hit and runs, people walking up and damaging your car, break-ins, and so on. 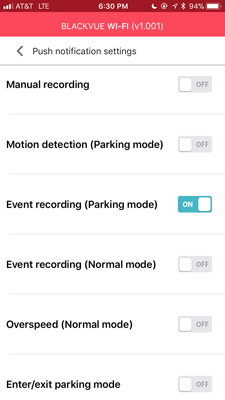 Along with driving mode recording, parking mode helps to give you complete protection. The automatic switching is huge. Many dashcams have parking mode in a menu option, but you have to remember to turn it on and off every time you get in and out of the car. A dashcam needs to do this for you automatically so you don’t have to mess with it. If a dashcam requires you to do it manually, I don’t consider it to be a good parking mode dashcam. Period. The DR750S uses its G-sensor and GPS to sense when you park and automatically switch into parking mode. When you get back in the car and start driving, it will switch back into driving mode. Excellent. It also has impact detection which is ideal for hit and runs in case someone hits your car. Not only that, but it offers pre-buffered recording. You see, some dashcams sleep in parking mode and only wake up and start recording once you get hit. If this happens, all you’ll see is a car in front of you and then it driving away. Pre-buffered recording means that it is recording the whole time and when it senses an impact, it saves the time before the impact, during, and after, so you get the complete recording, including when you actually get hit as well as before. This is huge. This way you get video evidence of the actual impact itself. You can see it in action here with a car backing into me while I was running the DR650S. The 750 works the same here. When you get back into your car, the DR750S will verbally announce “An impact was detected in parking mode” to let you know that something has happened. It sometimes gets triggered by mistake if you open and close your trunk or get in your car and shut the door, but you don’t drive away immediately. That impact while you’ve been parked can trigger the impact detected alert too so that’s something to be aware of. Update Feb 2018: With firmware 1.003, the DR750S now ignores any impacts within 3 minutes of starting your car and driving away which helps prevent these false alerts. I wish that Blackvue would tell us how many impacts it picks up. If it was just one and I didn’t drive away immediately, chances are it was just me. If there were two impacts, one of those happened while I was driving and I should check the memory card. Without checking the card though, I have no way of knowing. You can also have motion detection if you want the DR750S to record when someone approaches your car. I find that motion detection generally gives a fair number of false alerts from cars driving by, especially if you’re parked in the city. In a garage you’ll get less, but still. Personally I don’t use this feature. The DR750S can also record constantly while you’re parked. This is helpful in case something happens near you like a car accident nearby. It won’t trigger your impact detection if it doesn’t hit you and it won’t trigger your motion sensor if it’s a little farther away. However, it can be cool to record nonetheless. Make sure you select a big memory card so that you can record for hours on end, especially if you use this feature. 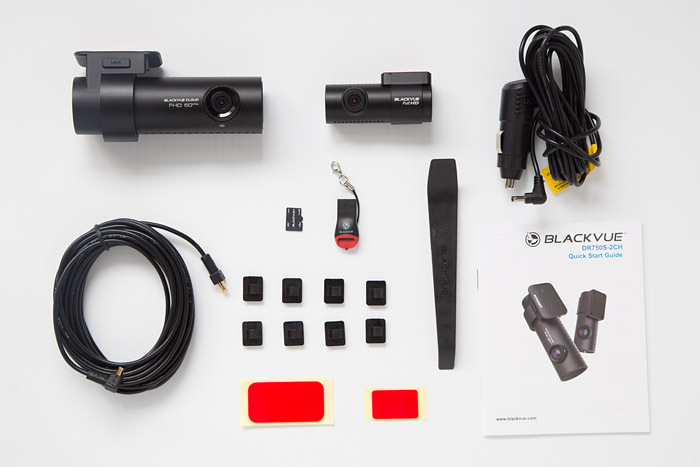 Check out Blackvue’s guide to recording times. Finally, if you want to use parking mode, you’ll want a way to ensure that your camera can be powered while parked without draining your car battery to the point where you can’t start your car again. The best way of doing it is to use the Power Magic Pro battery monitor. It will connect to your fuse box and monitor the voltage level of your car battery. It will let your DR750S record for hours and hours until the battery voltage drops too low and then it shuts it off. You can now buy the DR750S-2CH with the Power Magic Pro as a package and that’s definitely the way I’d recommend doing it. Watch my Power Magic Pro tutorial video here. 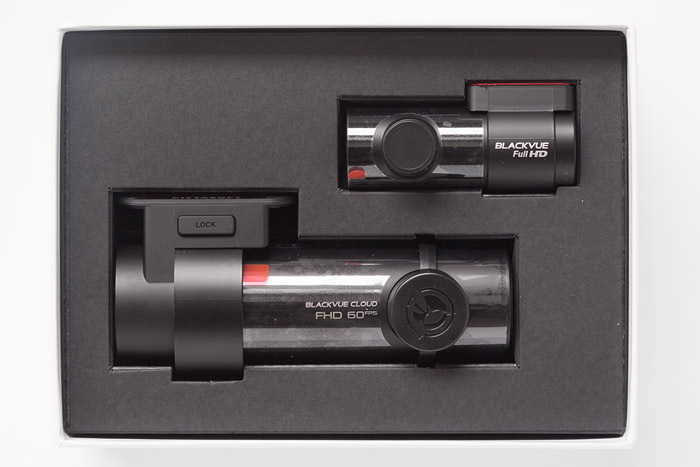 You can also use the optional Blackvue B-112 battery pack if you’d like a dedicated battery pack just for your dashcam. I’ve got one, but honestly I just use the Power Magic Pro. It costs less, it’s more compact, and I get more runtime using my car battery than the B-112 so I think the PMP is a better option. However, if you want a dedicated battery pack, it’s the perfect companion. If you need help hardwiring your dashcam, watch my hardwire tutorial video. The DR750S has WiFi to change settings, help you aim the dashcams during setup, and view and download videos directly through your phone. I use it mostly for aiming the dashcams initially, configuring the dashcam initially, and for quickly checking the video footage on the fly in case it tells me it detected an impact while I was parked. WiFi is also pretty fast and responsive with the DR750S, improved over the previous models. Downloading a 1 minute, 96 MB video file to my iPhone took less than 30 seconds. That’s several times faster than the WiFi I’ve used in some other dashcams. If you have a WiFi hotspot in your car or you’re parked at home or work and you’re close enough to reach the WiFi, the DR750S can connect to the cloud. Through the cloud you can access your videos in your camera remotely, plus your dashcam can send you notifications should anything happen. The cloud stuff honestly I just turn off. I don’t have a WiFi hotspot in my car and I’m usually not parked close enough to home for it to work so it’s not too useful for me personally. One weird thing about Blackvue’s WiFi is that when your phone is connected to your dashcam, your phone can no longer connect to the internet for Google Maps, Waze, Spotify, etc. This is different than the WiFi used in GoPro and VicoVation dashcams. With those your phone can connect to your camera via WiFi, but it’s still able to use its own data connection for internet. 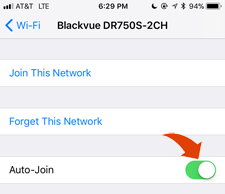 The Blackvue is acting like a WiFi hotspot with an internet connection so it stops your phone from using its own internet connection. The DR650S had the ability to have the WiFi off by default and only turn it on when you manually pressed the button on the side. The DR750S doesn’t have this ability for some strange reason. I hope they add it in a future firmware update. 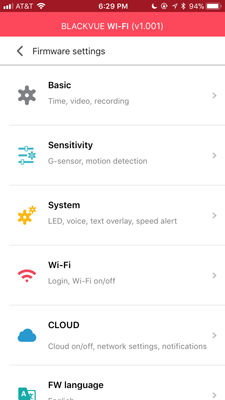 One nice workaround that Blackvue suggested was to go into your WiFi settings and simply tell your phone not to automatically connect to your dashcam. You can do this by disabling the auto-join option in your phone’s WiFi settings for the dashcam’s hotspot. This way your phone will always have an internet connection when you get in your car. 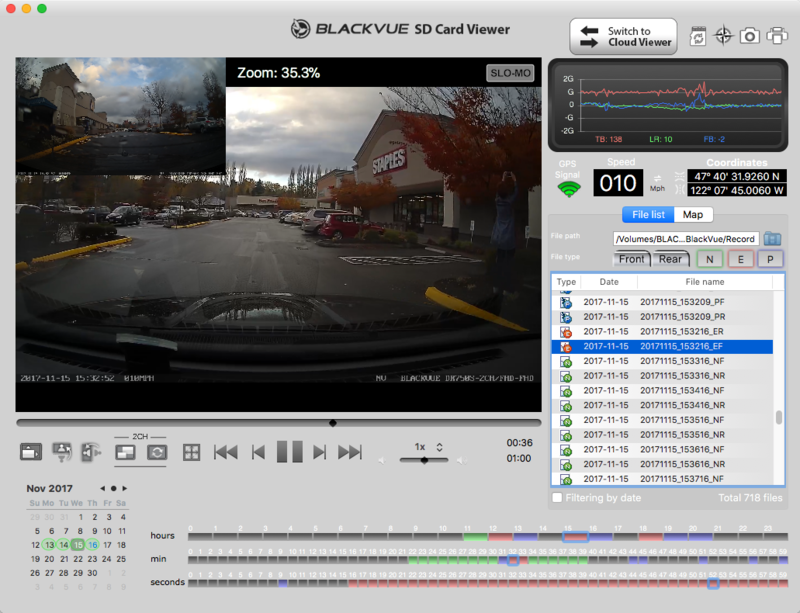 Blackvue has software available for both Windows and Mac that lets you view your recorded footage, change your dashcam’s settings, and even remotely access your videos stored in the cloud. The software is really good, better than most other dashcam’s software packages, if one is included at all. You can easily switch between front and rear camera views, overlay the two and watch both simultaneously if you want, switch between normal driving videos, marked event clips (like an impact detected), or normal parking videos. 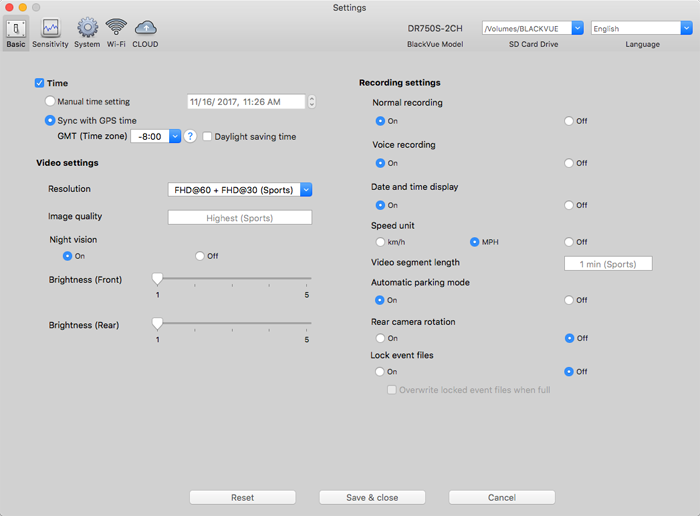 The software lets you quickly jump between different days and times, see your speed and where you were, watch your videos in slow motion, or zoom into different parts of the videos to get a closer look at important details. You also can go in and configure all the dashcam’s settings on your computer too if you don’t want to use your phone. They did a good job with it. Overall, I’m a big fan of the Blackvue DR750S-2CH and am happy to be running it in my car as my primary dashcam. I feel like it keeps me secure while recording everything both ahead of me and behind, while I’m driving and when I’m parked. At $399 it is more expensive than some of the more basic dashcams, but it comes with more key helpful features too and it’s designed for people who want complete dashcam protection. The video quality is pretty good, both front and rear, though I do wish it was a bit better. (Update: It is now better with the latest firmware update.) The night time capabilities are pretty fantastic. The parking mode functionality has been designed well. The software is good too. WiFi is responsive. I do wish my phone could still access the internet while connected to WiFi, but the autoconnect workaround I mentioned earlier will help avoid any issues. I like GPS is integrated into the dashcam with no external antenna required, plus the fact that you can disable your speed from showing up on screen if you like too. The black tube-shaped design is stealthy and low key. The small rear camera means it blocks less of my rear visibility. 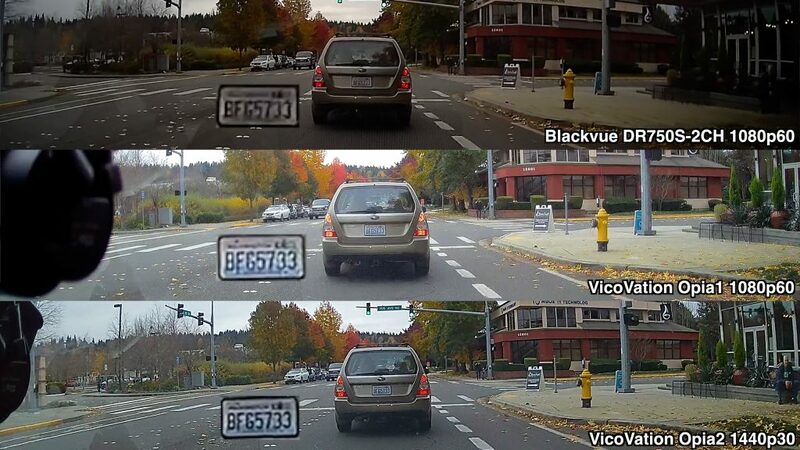 While I do think that there’s still room for improvement to the cameras and there’s tweaks I’d like to see Blackvue make (Update: and they have been making), I think it’s an excellent choice for people wanting complete dashcam protection. I’d recommend getting a large memory card with your DR750S. Buy it with a 64gb card (recommended minimum) to get 5 hrs, 40 min of recording time. Buy it with a 128gb card to get 11 hrs, 20 min of recording time. Blackvue has not sponsored me or this review in any way. They are not paying me for this review. They did send me a free DR750S for review purposes, just like many other dashcam companies do. I get to keep the camera when I’m done, just like I did with the DR650S that I ultimately wound up giving away as a prize to my Patreon supporters. The purchase links in this article are affiliate links and I make a percentage when you buy this or any other dashcam by using my links. Thank you for your support! great review. I like to ask if you have problems with the adhesive that secure the camera to the windscreen? Mine keep coming off every few months. Could be due to the heat here in Singapore. 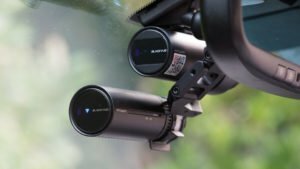 Will Blackvue sell just the front 2ch DR900S without anything else? I would love to upgrade but I don’t want to buy the whole thing and then have to sell my DR750S. I think it would be fantastic if they would let you send in your front 2ch DR750S and then sell you just the front 2ch DR900S. They could even determine what kind of discount you received depending on the shape of your DR750S. They just sell it as a single channel and dual channel setup. I don’t know of any trade-in options. One question!! In case of a stolen car with DR750S inside and without WiFi hotspot, is it possible to locate the car using the dash cam app?? if not, any other suggestions? If you think that’s something that you need, put a WiFi hotspot in your car or get the upcoming DR750X. I like the parking mode capabilities of the DR750s but I am concerned about the functionality during extreme heat. I live in AZ and the summers are pretty brutal so I’m wondering if the DR750s would hold up or if I should look into something else? What is the best brightness settings for 1.015 firmware (DR750s-2CH)? I have it on 3 Front&Rear and it still a bit dark, but I don’t want to mess with the record quality.